This is another article that appeared on GameCareerGuide some months ago. Game designers must have a productive orientation in life. Game design is not something you turn on and turn off daily, it’s something that must be with you all the time, that you must make an effort to pursue. Persistence is more important than "creativity". Many novelists write all their adult lives, even from childhood; most game designers design games from an early age, most artists draw from an early age. But some come to it late and are still good at it. Most of the people who write novels or design published board and card games have full time jobs. For example, once-profilic SF/F novelist Glen Cook never gave up his General Motors assembly line job, writing during his commute. Freelancing is much less common in the video game industry, which is where most full-time designers work for a particular game development studio. Many people involved in publishing non-electronic games work part-time, relying on a “day job” for their living. Most game publishers, even in video games, originated as self-publishers, distributing the "dream game" of the people who founded the company. If you read good advice about breaking into the game industry, that advice will include "read as much as you can" and "educate yourself as much as possible", even as the advisors suggest that a bachelor's degree is a good idea. For example, everyone interested in "breaking in" should read the wealth of advice on Tom Sloper's Web site (sloperama.com) and his monthly IGDA column. I’ve used a book by Ernest Adams, Break into the Game Industry (http://ernestadams.com/), now a bit long in the tooth (2002) but still available. His advice is well worth reading (especially about getting a job and how to keep a job), and amounts to the same as Tom's. In general, game designers must have an “educated” attitude, even if they have no more formal education than a high school diploma. Let me hasten to say that "educated" refers to an attitude, not to earned degrees. Fortunately for us, the game industry does not yet have the "degree-itis" that is invading all walks of American life, as though the only way you can learn something is to get a degree in it. The industry is a "meritocracy", where you are valued and hired for what you can do and what you can create. "Educated people" doesn't necessarily imply academic degrees, it implies a certain attitude toward life. It's that attitude that the game companies want and need to succeed. So I am not talking about the classic idea of the "well-educated" person, which relates to particular things like knowledge of the Classics. No, an "educated person" is a person with a certain attitude toward life, not necessarily one who has a degree. There are people with legitimate Ph.D.s who could be called uneducated (though this is unlikely). There are certainly many people with bachelors degrees who are essentially uneducated. And there are 17 and 18 and 19 year-olds who clearly are educated people, though they haven't had the time to accumulate a wealth of experience and knowledge that is associated with being educated. So what makes someone "educated"? An educated person wants to KNOW, and will make an effort to find out things. An uneducated person will tend not to bother. Here's a simple example. An educated person, confronted with a word he doesn't know, is likely to look it up. He wants to improve his understanding (of language, of the world). An uneducated person isn't going to bother. Further, an educated person teaches himself or herself when necessary, from books or otherwise, rather than wait for a class. The uneducated ones will frequently whine "I haven't been to training for that". Not surprisingly, educated people tend to read a lot, and uneducated ones don't. In my classes I assign students the "task" of maintaining a notebook or other "data store" in which they record game-related ideas as they get them. It's a habit they should get into on their own, and I try to teach attitudes more than "facts". The "uneducated" attitude surfaces soon: "how much do I have to include in this?" The student wants to know the minimum, rather than take the educated attitude that this is something he should do anyway, that is worth doing, and he should put some time into it. Educated people like to use their brains in top gear; uneducated people prefer to run in "idle" or first gear. The old-fashioned "thirst for knowledge" is what I'm talking about. This is part of a productive orientation. What's important is what you know and what you can do, not what classes you took or what degrees you have. Good classes help you learn much quicker, as you take advantage of the experience of teachers and authors, but good classes are not always available. The game designer needs to have his brain in gear all the time. When playing games, he should be thinking about what works, what doesn’t, and why. He must keep his mind open to ideas at all times. He must think about how to improve his game even when (if) he enjoys playing it. The game can always be improved, we just come to a time when the improvement we can get isn’t worth the time it will take (the law of diminishing returns). Most important, the designer must think critically. “Fanboys” (or girls) will never make good game designers, as they typically praise a game or genre uncritically. Self-criticism is especially important. If you can’t recognize that your favorite mechanic just doesn’t fit, or just isn’t needed, then you won’t design good games. Self-indulgence is “verboten”. This is much more important for video game designers than for non-electronic game designers. Most video games require a team to produce. 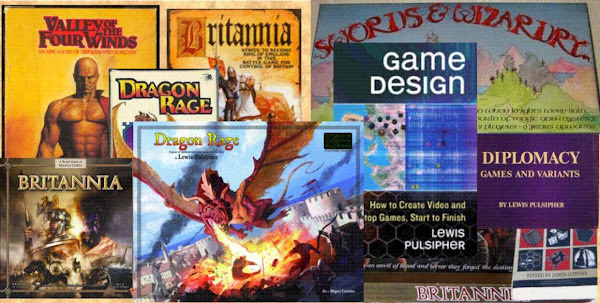 The game designer must communicate in writing and orally everything about his game in a manner that enables the artists and programmers to reproduce it. This is really hard to do! Finally: if you haven't written it down, "it doesn't count." While game design is “10% inspiration and 90% perspiration”, that 10% is important. It’s not hard to “design” the next shooter clone. Finding that spark to make it more than a clone, more than just a shooter, separates the most successful designers from the rest. Too many designers design the game they want to play, which is almost exactly like some existing game that they love to play. “Think outside the box” applies here. Game designers do not need to be "control freaks", but they need to carefully control everything in the design of the game. People who buy games want the designer to make every effort to produce an enjoyable game. They don't want to depend on random this or that unless the designer has decided that randomness will create the best game experience. Example: students making a form of "capture multiple flags" boardgame dropped the flag markers on the board to create a random distribution. My jaw dropped. If you're the professional designer, you should work out a set of excellent and interesting positions for the flags, rather than depend on chance placement. Why trust enjoyment of your game to unnecessary chance? Yes, it's more work for the designer, making up and recording the patterns of placement, playtesting each one multiple times. But the result will be a fairer and better game. Do I have to be an outstanding player? Being a “dynamite” game player, whether it’s in Halo 3 or Mario or Command & Conquer or Axis & Allies, does not translate to being a good game designer. The skills and points of view are very different. On the other hand, if you have played Tic-Tac-Toe (Noughts and Crosses) some, and have not realized that it is always a draw when played optimally, you have a mountain to overcome, because you’ll likely not see the optimal strategies in more complex games. In other words, you’ll help yourself a lot if you’re a good enough game player to quickly see the best strategies and tactics in a game. You can avoid dominant strategies and other pitfalls that otherwise your playtesters will have to reveal, at a cost of time and frustration. You needn’t be an outstanding player, but it helps to be a good player.